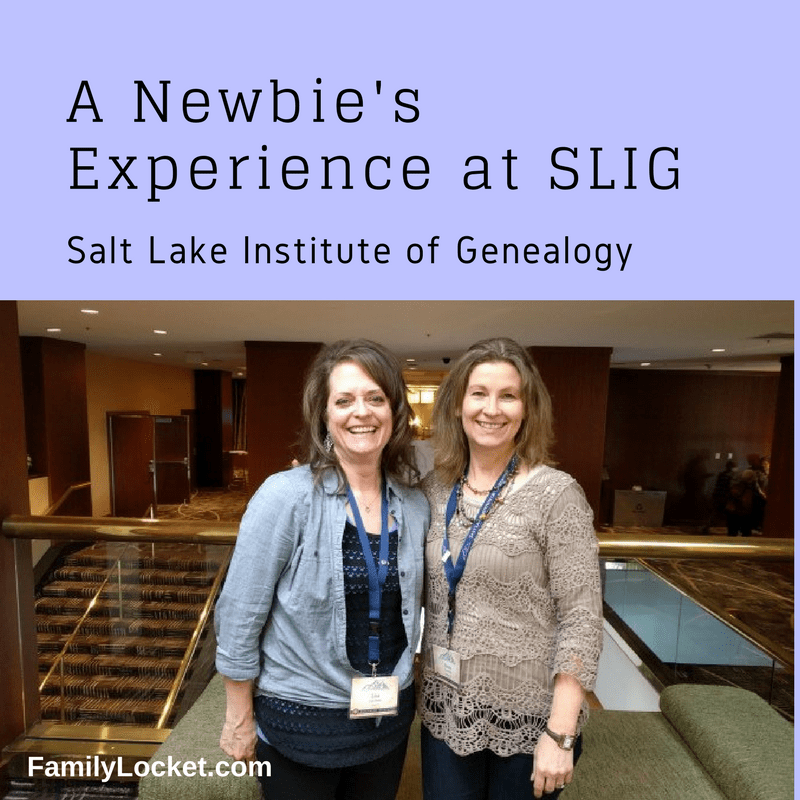 Have you heard of SLIG – the Salt Lake Institute of Genealogy? I recently attended and want to share my experience today. I had heard of SLIG and other institutes but had never attended. Because registration is several months prior, in the summer of 2017, I decided to attend my first institute. Browsing the course titles, I decided “A Practical Approach: Establishing Genealogical Proof with DNA” would be the most beneficial for my research. Knowing this would probably sell out quickly, I registered within minutes to secure my spot. The course leader, Karen Stanbary, sent a welcome email in the fall of 2017 with guidelines. Class members needed a basic knowledge of all of the DNA tests and to have tested at each of the companies. The purpose of the course would be to learn methods to use DNA as genealogical proof. 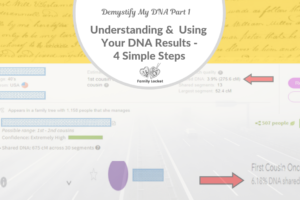 To prepare, I reviewed Genetic Genealogy in Practice¹ and gathered my kit numbers and login information for the DNA tests that I administer. Because I live thirty minutes from Salt Lake City, the location of SLIG, I didn’t need to book a flight or hotel. Bright and early on Monday morning, I caught the Frontrunner train and embarked on my weeklong adventure. I became a commuter for the week and enjoyed the relaxing ride. With wifi enabled, I caught up on email and class assignments coming and going. A connection with Trax, another train, took me within a block of the Hilton where the conference was held. I picked up my registration packet at the second floor desk, found my classroom, and a spare seat. This would become my learning/working space for the entire week. Because we were in a computer lab setting, I had a space for my laptop complete with a power outlet. A detailed class schedule let me know exactly what to expect each day. The thick syllabus gave me information and a place to record notes. A supplementary folder contained laminated charts for DNA analysis. SLIG offered 14 courses including regional and methodological topics. The 2019 schedule will include similar offerings. Take a look and see if this experience might be for you. One of my favorite aspects of SLIG was the opportunity to see old friends and make new ones. Outside my classroom, excited for the learning to begin. The morning and afternoon breaks as well as lunch gave me a chance to relax and network with other like-minded genealogists and to shop at Maia’s Bookstore, set up in SLIG Central. The bookstore has hundreds of titles, grouped by category. I browsed through books of all types. Need a book on a certain state or region? Maia had it. How about a book on courthouse research? Yes, she had that too. 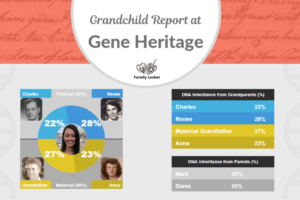 After looking carefully, I settled on Blaine Bettinger’s DNA book, The FamilyTree Guide to DNA Testing and Genetic Genealogy. Being able to thumb through the book was a plus. The lunch break was 1 1/2 hours long, enough time to exit the Hilton and try out one of the many restaurants within walking distance. Several lunch options were also available each day from the Grab and Go Lunch Kiosk. Attendees could purchase soups, salads and sandwiches. Commuting from home let me pack a lunch each day. Evening activities afforded additional opportunities for networking and learning. SLIG opened with a general session, “Common Threads: Weaving Our Ancestral Tapestries” by Rich Venezia. Tuesday evening was a networking event with Ancestry ProGenealogists. Wednesday was SLIG Night at the Family History Library. Several Accredited Genealogists presented lectures on a variety of subjects. I enjoyed teaching about Source Citations and Writing Up Research. A shuttle to the Family History Library ran throughout the week – day and evening. Several of the classes required research at the library and attendees spent much of their day researching for class assignments. My class time consisted of both lectures and a hands-on computer lab. We heard from DNA experts, Paul Woodbury, Michael Lacopo, Melissa Johnson, and our course leader, Karen Stanbary. Each shared case studies from their own DNA research experience and their favorite methods of analyzing DNA. Perhaps the most valuable part of the week was a Q&A session on Friday with all four experts. We asked tough questions and received satisfying answers. The final order of business was “graduation” – the presentation of our certificates. 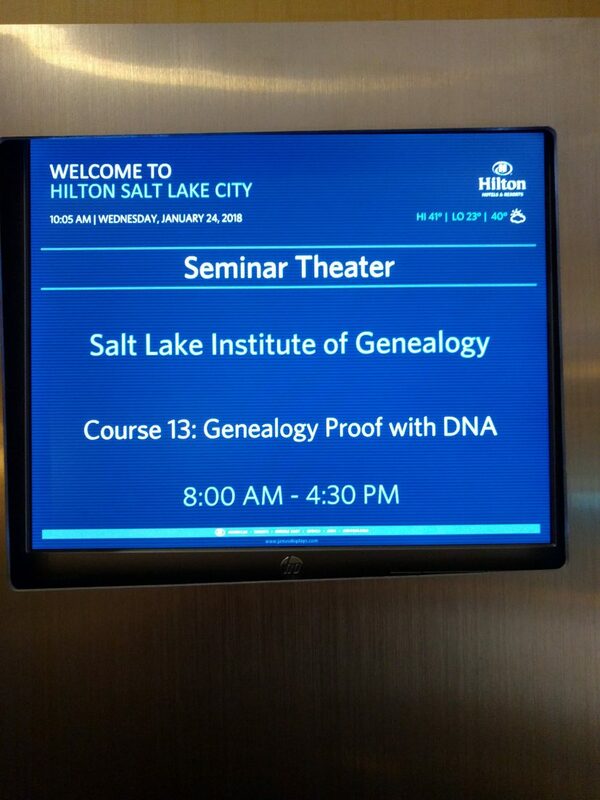 As I continue to digest the huge amount of information I took in during the week, I’ll be sharing ways to use DNA to prove our long standing genealogy mysteries. Stay tuned! ¹ Blaine T. Bettinger and Debbie Parker Wayne, Genetic Genealogy in Practice, (Arlington, Va : National Genealogical Society, 2016). Diana Elder AGⓇ is a professional genealogist, author, and speaker. She is accredited in the Gulf South region of the United States through the International Commission for the Accreditation of Professional Genealogists (ICAPGen). Diana graduated from Brigham Young University with a degree in Elementary Education and has turned her passion for teaching to educating teens and adults in proven genealogy techniques. Diana is the author of Research Like a Pro: A Genealogists Guide and creator of the “Research Like a Pro” study group. She writes regular articles for FamilyLocket.com, the genealogy website created by her daughter, Nicole Dyer. 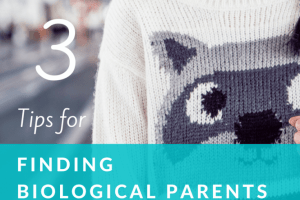 She presents regularly at genealogy conferences, sharing the methods she uses every day to solve challenging genealogical problems.